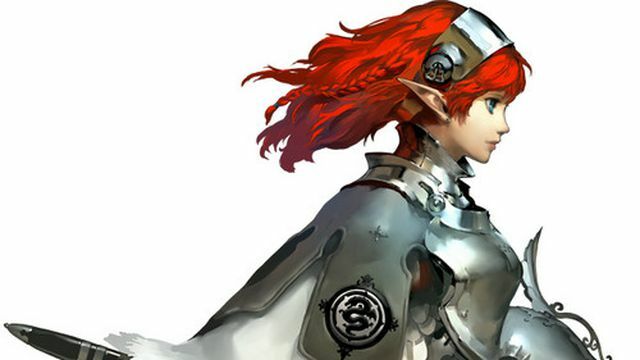 Atlus has mostly kept busy with the Shin Megami Tensei series as of late, but the company has another, unrelated role-playing game in development. From members of the production team that worked on Persona 5 comes a completely new project, the details of which will be revealed later in the week. Japanese gaming magazine Famitsu has the first look at the game, which is a fantasy RPG to be revealed during a NicoNico livestream on Dec. 23. The stream kicks off at 8 p.m. JST, or 6 a.m. ET. Atlus has formed a new team, Studio Zero, to lead development on the unnamed game. Studio Zero is composed of Atlus staffers with impressive, Shin Megami Tensei-laden credits, like Katsura Hashino, Persona 5’s director. That aside, all we know about Studio Zero’s debut production is that it’s got some stellar concept art. Look at this illustration above for the premiere look at the game; it’s drawn by Persona 5 designer Soejima Naruki. Based on what this character’s wearing, we can expect this fantasy game to skew more toward the medieval than the very contemporary, high school-set Persona series. Atlus hasn’t produced a title outside of the scope of Shin Megami Tensei and its spinoffs in years, instead focusing its in-house projects on the hit dungeon-crawling, monster-collecting, social link-building franchise. The most recent stateside release in the SMT series was June’s well-received Tokyo Mirage Sessions #FE, a crossover with Fire Emblem made for Wii U. We’re still waiting on Persona 5 here in the states. The game finally arrives next April, following a delay from its original February 2017 launch date.